Flying Trapeze is one act that I watched in circus during my childhood in amazement, wonder struck by the gravity defying stunts performed so easily. In a traditional flying trapeze act, flyers mount a narrow board and take off on the fly bar. The flyer must wait for a call from the catcher to make sure he or she leaves at the correct time. Otherwise the catcher will not be close enough to the flyer to make a successful catch. The flier then performs one of many aerial tricks, and is caught by the catcher, who is swinging from a separate catch bar. Once in the catcher's hands, the flyer continues to swing, and is thrust back toward the fly bar in a manoeuvre called a "return". A return could consist of some kind of twist back to the bar, an "angel" (when the catcher holds the flyer by the feet and one arm), or any other trick that a flyer can think of to get back to the bar. Once back to the fly bar, the flyer can return back to the board, and another flyer takes a turn. Reflecting back at life, I can see a similarity between the stunts that those artists performed and the way successful people perform in real life. Life is about seizing the Opportunities it offers. There is just that moment that is available to the flyer to leave the bar and get caught by the catcher. In the same way, there are always opportunities thrown at us to leave our comfort zones and fling ourselves towards our goals. But often, you refuse to let go of your ‘bars’ out of fear or lack of confidence. People who have been successful first prepare themselves for these moments and when they arrive, lunge at them with full vigor and intent. A Lot of Hard Work goes behind each Successful Act. The trapeze artists spend weeks if not months, to strengthen their muscles, and build expertise on their ability to swing, let go of the bar in mid-air, do acrobatics and transfer themselves to the other bar. They practice their acts again and again, both physically and mentally till the time they are sure of themselves. In real life too, you need to make a habit out of working hard towards gaining success in your endeavors. Trapeze Flyers are not afraid of Heights. Trapeze artists are well aware of the heights that they are supposed to perform at- they have to be comfortable to perform at these heights. This is a very useful lesson for life too. Each business/industry has some inherent risks. It is important to know if you have taken these risks into account before investing your effort and money into them. It is important to build Trust. A majority of the act by trapeze artists comes after they launch themselves into the air, knowing that their partner will be there at the right moment, with arms outstretched, to lift them off and continue the act. And this trust is mutual. Similarly, you need to be able to build trust in your children, colleagues, bosses and parents, and in return, their trust in you. The Secret is in making the Act Look so easy, that everyone gasps in Awe! If anything makes trapeze flying so watchable, is the fact that all artists are so accomplished that they make the act look so do-able that the audience remains spell bound, because they know its not so easy. Similarly, it is important to gain such finesse in whatever we deliver, that the finished product/service is extremely simple and loaded with offerings, that it becomes a Wow factor. See the major products and services that have become brands around you, and you will know what I mean. Believe in Yourself! The most important factor in ay success – You! It’s only after the trapeze flyer was convinced that he/she could actually fly amidst a web of bars and other flyers at such heights, that the act could finally take shape. At work and in life as well, unless you believe in what you are doing, it is just not going to work. You often make the wrong choice only because you feel convinced by others and not yourselves. The Comfort Zone exists only in your Mind. There is no comfort zone really. In actually is a manifestation of your fear of failure, your lack of understanding of your own self and procrastination. Look at the trapeze flyers. Once on the trapeze bar, there is no looking back. Each and every moment has to be run through, without any chance of not happening. There is a choice theoretically, but really speaking there is no choice. What you can do this moment, you will not be able to do in any other moment, because the entire dynamics will be different! So go, and perform! Be in Control. Between the moments of leaving the bar and reaching the catcher and vice-versa, the trapeze flyer has only himself/herself to rely upon. There is a great degree of control required to create the same act as was done during the practice control on your mind and body to ensure the precision of the act is not affected. In our work also, you need to have a total control on the critical factors during the execution stage. Do your Best and Leave the Rest to Happen. When all the preparations have been made and rehearsals done. 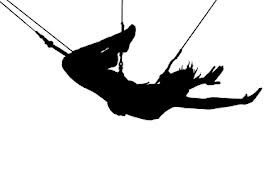 The trapeze flyer starts the swing and goes through the process fully aware of the moment; he/she simply goes through the moment with a prayer on his/her lips and the faith in the unseen power that is orchestrating all this. In a similar fashion, as you go about your important meetings, deadlines, presentations, and other important decisions, having done the best you could, simply go and do the best you can, leaving the results in the hands of the other powers that be – there is just no point in fretting over what could have been. One Moment in the Air, and Another on Ground. The trapeze flyers are appreciated when they delight the audience, but in other times they are in removed from the performance, both in their own minds and in the minds of the audience. There are other priorities that must be attended to. Similarly, success at work is a part of your lives and there are other aspects to your lives that are equally necessary, and need to be attended to with the same vigor, even if you may not play a central role in these. Life is a lot more, full of happenings which you need to be totally recipient to, so that you can play your role, however big or small,to lead a complete life. Secondly, you said "Trapeze Flyers are not afraid of Heights". Actually, most of us still have a healthy fear of heights - without it we'd be likely to take too much risk and injure ourselves. What trapeze artists are able to do however (and this applies to leadership too) is to assess the actual risk of a situation, and overcome our fear when the risk is low, but to know when the risk is too high that its not safe. Finally... you talk about trust, and I think one of the greatest things you need to learn, after trusting the catcher, is trusting yourself.